The club is usually unlocked by 9am. Its facilities are then available to you throughout the day, regardless of bar opening hours. The club closes when the bar shuts at the end of the evening. On Sunday the club closes when the bar shuts at the end of lunchtime. These are the normal opening hours for The Club, however they can be extended when a function is being held. 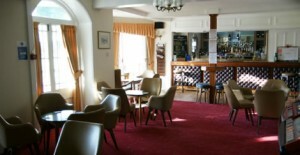 To find out more contact the club steward on 01502 713535 during bar opening hours. * On Monday and Tuesday the bar closes at 10.30pm if the last customer has left. * On Thursday the bar closes at 11.00pm if the last customer has left.